Home > Music News > SLIGHTLY STOOPID ANNOUNCE NEW ALBUM EVERYDAY LIFE, EVERYDAY PEOPLE Featuring guest appearances Ali Campell (UB40), Alborosie, Chali 2na (Jurassic 5), G. Love and more! Slightly Stoopid inspires a collective and community based atmosphere conducive to everyday life, as well as their art. Embracing the art of collaboration, the band is often joined by an arsenal of guests both on stage and in the studio. Special guest appearances on this LP include Ali Campbell (UB40), Alborosie, G. Love, Chali 2na (Jurassic 5), Don Carlos, Yellowman, Sly Dunbar (Sly and Robbie) and more. In 2017, Slightly Stoopid’s annual outdoor amphitheater tour, titled “Sounds Of Summer 2017,” ranked 67th in Pollstar’s Top 100 Global Tours. 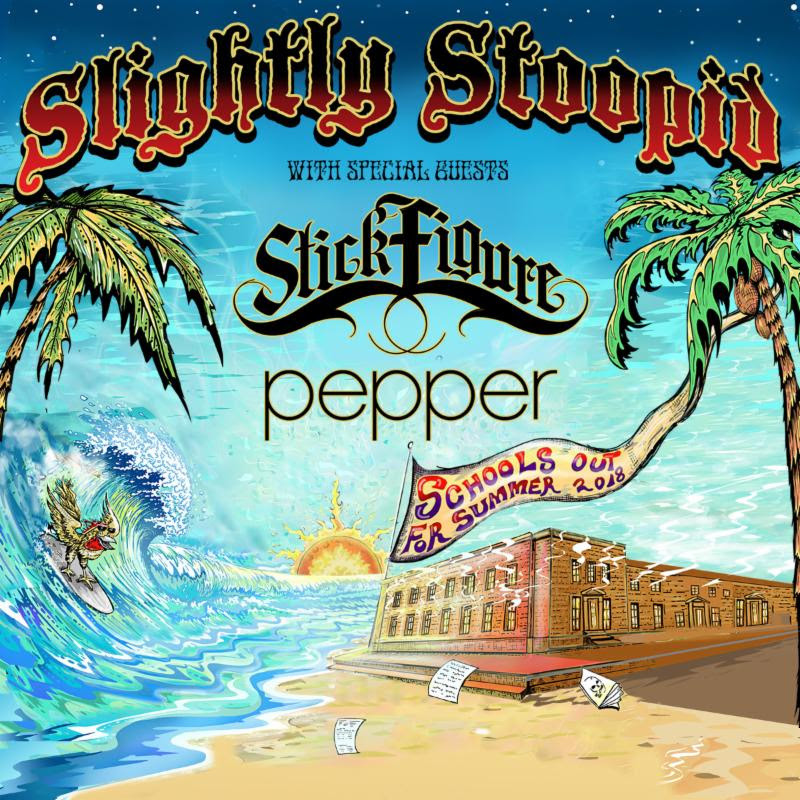 In 2018, Slightly Stoopid will bring their high energy show across the country with the “School’s Out For Summer Tour” featuring special guests Stick Figure and Pepper. The tour will bring the band across the country making stops in cities coast to coast as well as festival appearances at Hangout, Summer Camp, Cali Roots, Summerfest, Levitate Music & Arts Festival and Arise Music Festival along the way.